Aptly termed as the 'Roof of the World', Tibet is visited for its spiritual charm, adventure activities and scenic views. During your Tibet travel, you'll come across experiences that will stick into your memory for a long time. The history of the region dates back to the 7th century, and it's as interesting as its geography. If you're looking for a cultural tour that might change the way you look at the world, Tibet is one of the most preferred travel destinations. The geographical landscape of the region is undoubtedly a traveller's true delight; it's home to some of the world's tallest mountains including Mt Shishapangma, Mt Gurlamandhata and Mt Everest. Though almost every corner of the country is worth exploring, what fuels Tibet tourism the most are places like Lhasa, Potala Palace, Drepung Monastery, Sera Monastery, Shigatse, Gyantse, Everest Base Camp, Mt Kailash, Lake Manasarovar. 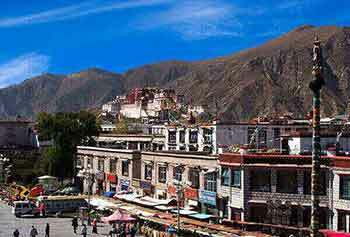 During your Tibet cultural tour, you'll get the opportunity to interact with much likable people, view fabulous monasteries and experience a level of spiritualism that seems to belong to primordial times. This is what makes Tibet really unique! Tibet provides you with a wide range of trekking, adventure and Himalayan exploration trips. If you have a penchant for adventure, you would love to go on Everest base camp tours and Advance base camp tours. Located at a height of over 5,000 m, these base camps don't just have exciting trekking terrains but they also offer majestic views of the Himalayas. Shalu-Nartang trek, Mount Kailash trek, Tsurphu-Yanpachen trek, Everest base camp to Tingri trek are some of the most adventurous routs for trekkers. There are also treks for different duration and fitness levels. 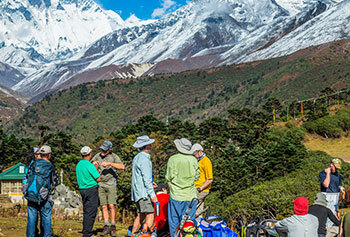 You can choose to go on short treks, 2-3 day's treks or even longer trekking expeditions. The Kailash Mansarovar Yatra is one of the most popular tours in Tibet. The yatra is a heady combination of every aspect that makes Tibet special – religion, culture, natural beauty and adventure. 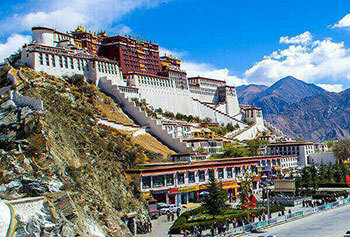 Discover Tibet with Max Holidays, as we have been organising tours & travel across Tibet past many years. Max Holidays much preferred travel agent due to well designed tours for Tibet and offers a vast variety of tour packages for an individual or a group of people travelling. A trip to Tibet leads your tour to tour packages as Lhasa to EBC & Namsto Lake, Tibet & Nepal Culture Tour, etc. We like our job to plan your travel as per the requirement & that make your trek to Tibet an enjoyable one within the natural beauty of Himalayas. In case you don't find exactly what you're looking for in the list of ready-made Tibet tour packages, you can request our experienced travel planners anytime to create a completely tailor-made tour of your choice. "We were a group of 05 friends went to Tibet and had great trip. Thank you Max Holidays for organising such a fabulous trip. The experience with them was excellent and, all the guides were excellent and full of energy with good sense of humour. They had great knowledge about Bhutan and tried to share maximum of it." 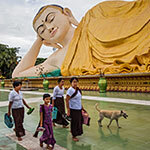 "A worry free tour was organised so that we could enjoy the fullest. We went for the four days private trip to Lhasa and returned with plenty of picture and a soul full of memories. The hotel was at a great location from where we can explore almost everything. 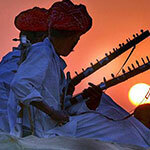 Max Holidays made sure that we had a flawless and a lifetime memorable trip." "We really enjoyed our tour to Tibet. The tour was organised so well that everything went with the flow. All the tour guides were so helpful and nice. The guide made all his efforts to make our stay comfortable. He was always there to give solutions to all kinds of problems. We highly appreciate the kind of services this company provides. "